Front Flap: The Year is 1862. A Confederate ship, the Skink, is attacked by Union Forces and sinks off the Alabama Coast. In spite of rumors that the ship was carrying gold coins, no trace of the wreck and not a single piece of Confederate gold is ever found. Fast Forward to 1973. Thirteen-year-old Mike is prepared for another routine summer in Pensacola with his marine biologist father. But plans change and Mike finds himself on Ship Wreck Island -- near the site where the Skink went down and right in the middle of a century old mystery! Mike and his new friend Kyle are intrigued by a salvaged ship anchored just offshore. Some say it was brought in by fortune hunters seraching for the long lost Confederate ship and its treasure. But when they sneak into a restricted chamber of the fort on the island, the boys make a startling discovery that may mean the fortune hunters are looking in the wrong place. Just as they begin to unravel the mystery, Mike and Kyle find themselves trying to outrun the hurricane bearing down on the island and outwit thieves who will do anything to get their hands on the missing fortune! 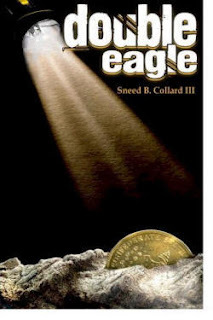 I thoroughly enjoyed reading "Double Eagle," a young adult mystery written by Sneed B. Collard III centered around a civil war mystery. The story begins in 1862 with the confederate captain of the paddle wheel steamer, the Skink, preparing to leave port of crescent city (new orleans) for the safety of Cuba. He is stopped by a confederate major who orders him to take a cargo chest to Fort Henry or else he will take over his boat. The captain was able to deliver the cargo safely, but after fleeing up the coast is sunk by union ships. When Mike travels to Florida to stay with his dad for the summer, he discovers his dad has taken a different summer job and will be studying invertebrate zoology at a brand new lab located in an old air force radar base on Shipwreck Island. Next to the base is an old civil war fort, Fort Henry. Mike expects to end up spending his summer like he usually does - helping his dad, exploring the island and collecting coins for his coin collection. He is surprised to discover a kindred soul who enjoys collection coins just as much as him in 15 year old Kyle. Their summer takes an interesting turn when they meet Anton Dubois, a local elderly resident who tells them all about the civil war and the mystery of the confederate coins. And when they start asking questions of a salvage team searching for the wreck of the Skink and the coins, they become suspicious of the boys. The boys decide to solve the mystery of the lost coins and go searching for the coins themselves and sneak into closed off areas of Fort Henry hoping to find the coins. Double Eagle is a well written, action packed mystery - throw in 2 teenage boys, some intrigue, danger and a category four hurricane heading in the direction of the island and you have an exciting, entertaining story. Though written for the age 9 to 12 set, I think it will appeal to all age ranges. Thank you to Erin of Peachtree Publishers for providing me with a courtesy copy of the book. "Double Eagle is a well-written and complex story with plenty of action, good characters, and light layer of history. Mike and Kyle are believable as fourteen-year-old boys in the years before the Internet, X-Boxes, iPods, and text messaging. They spend the summer fishing, riding bikes, hanging out, and hoping for adventure." "Mike and Kyle are nicely drawn characters. I love the book’s historical and scientific aspects. I don’t often find the sciences portrayed in a fun yet accessible way." "Although categorized as ages 9-12, this is a fantastic adventure story for all ages to enjoy. 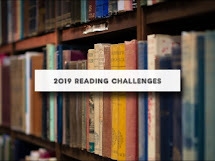 I think what makes it work for the teen + reader is that most, if not all, can relate to treasure hunting...who didn't go off in search of treasure when they were younger?" I am giving away one new copy of Double Eagle, courtesy of the publisher. Please leave your name and email address in the comments. The giveaway is open to U.S. Residents and the deadline is March 10th. The winner will be picked using Random.org. FTC note: This review is my unbiased opinion and no compensation was received in the writing of this review. Hi! I'm registering for the drawing for the book. Sounds like a great story.